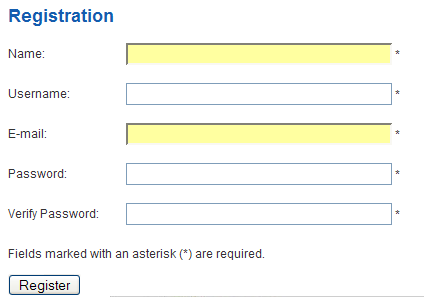 Allows a user to register for the site, as shown below. This Layout has no unique Parameters. This page was last modified on 13 July 2010, at 09:55.